If you’re looking for an amazing getaway or a vacation spot that is off the beaten path, then McMinnville, Tennessee is just the place for you. McMinnville is located almost exactly halfway between Nashville and Chattanooga, making it a great destination spot from either city. Approximately 20 miles off Interstate 24’s Exit 111, McMinnville offers many activities that are fun for anyone in the family! Today, Warren County is best known as the plant nursery capital of the world. Having hundreds of nurseries offering both retail and wholesale shopping, Warren County is a dream for any landscaper. McMinnville has various places to go to learn about town history and expand your knowledge. The oldest remaining residence in McMinnville, The Black House, was built in 1825 and is situated on the southeast corner of Main and High streets. It got its name from the owner Dr. Thomas Black where he practiced medicine and lived with his family. Or you could visit Falcon Rest, a Victorian Mansion that was converted into a hospital and nursing home. Or perhaps you would be more interested in seeing and reading about the Trail of Tears, while taking a five-mile hike on Caldwell Mountain at Shellsford. There are quite a few historic places to check out around downtown as well to round off your visit. McMinnville has its own set of natural beauties, which is no surprise. With one of the largest show caves located here, and a grand state park outside the city limits containing what is locally referred to as The Blue Hole. This is a favorite spot for fishermen and legend says that there are catfish in The Blue Hole that are as big as Volkswagens! Even just driving down Highway 70 is full of gorgeous scenery thanks to the rolling landscape. 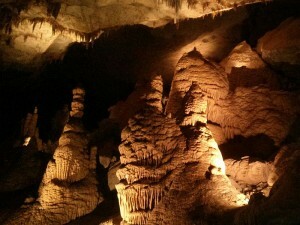 Cumberland Caverns is the largest show cave Tennessee. At a grand total of 32 miles of underground caverns, Cumberland Caverns was once the second largest cave in the United States and is one of the most extensive known caves in America. A noteworthy feature of the caverns is the “Volcano Room”, which is spacious enough to have 500 people. Tours happen very frequently here, giving this attraction a wide schedule to be added to your list of places to see. Located on Center Hill Lake at the convergence of the Caney Fork, Collins and Rocky Rivers is Rock Island State Park. The raw beauty of the park incorporates the Caney Fork Gorge below Great Falls Dam. This park contains overlooks that are some of the most scenic and significant along the Eastern Highland Rim. Great Falls is a 30 foot cascading waterfall, located below the cotton mill that it powered over 100 years ago. Even if you choose not visit destinations, and just want to ponder and enjoy the scenery, McMinnville is a great city to visit. Any place you choose to stop offers a promising experience of getting closer to nature and the tranquility that can be found there. 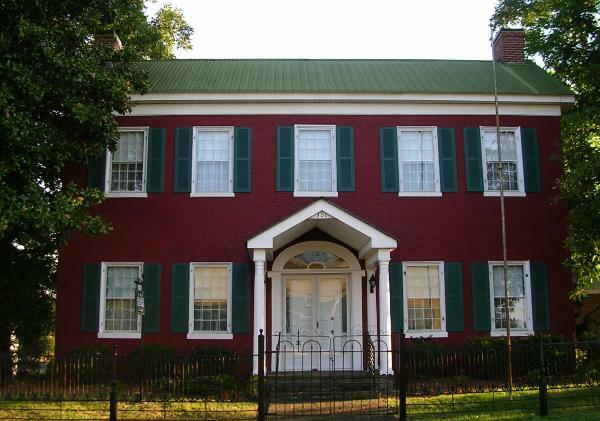 Learn more about the culture of McMinnvile TN! Check out more places locally!